KPIT and Birlasoft are merging together to create two companies in the ‘Automotive Engineering and Mobility Solutions’ (KPIT Tech) and ‘Digital Business IT Services’ space (Birlasoft). The merger would create a ~$700+ million combined entity. After the merger, it would be separated into two new entities - KPIT Tech ($270 million revenues - a focused engineering company) and Birlasoft ($475 million revenues - a digital business IT services company). Birlasoft would have combined revenues of KPIT’s IT services segment (ex engineering business) and Birlasoft’s existing business. The Composite Scheme of Arrangement among Birlasoft (India) Ltd and KPIT Technologies and KPIT Engineering along with their respective shareholders has been approved by National Company Law Tribunal, Mumbai Bench, effective as on January 15, 2019. The board has fixed January 25, 2019 as the record date for identification of shareholders of the company for the purpose of allotment of shares of KPIT Engineering. Under the terms of the deal, shareholders of Birlasoft would get 22 equity shares of the combined entity for every nine shares of Birlasoft. KPIT would issue 7.66 crore shares to Birlasoft shareholders. The merged entity would have 27.4 crore (7.66 crore+ 19.74 crore) shares. After the demerger, shares of KPIT Engineering would be listed while shareholders of the merged entity will receive one share of KPIT Engineering for each share the shareholder holds. Hence, KPIT engineering and Birlasoft would have 27.4 crore shares each. The Composite Scheme of Arrangement among Birlasoft (India) and KPIT Technologies along with KPIT Engineering and their respective shareholders has been approved by National Company Law Tribunal, Mumbai Bench, effective as on January 15, 2019. 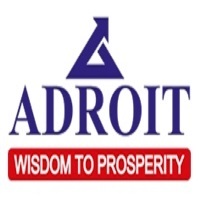 The board has fixed January 25, 2019 as the record date for identification of shareholders of the company for the purpose of allotment of shares of KPIT Engineering. As per the given timelines, currently traded KPIT Technologies would be renamed Birlasoft and would start trading ex engineering on exchanges on January 24, 2019. Further, KPIT Engineering would get listed in March 2019 and will be renamed as KPIT Technologies.